Home / Devon Flue Installation Latest Projects NEW! 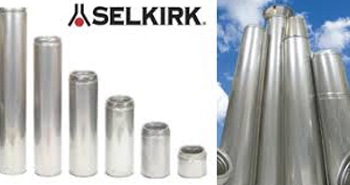 With an inner lining and an outer casing manufacturers using high quality stainless steel, Selkirks? Twin Wall Chimneys have been designed to offer you optimum levels of safety and performance. ?Available in a range of different internal and external diameters, these chimneys feature a 25mm cavity between the lining and the outer casing. This means that as the temperatures of the gas travelling through the flue fluctuates, the inner lining can expand and contract without affecting the outside structural performance. We're here to help, speak to our team today to learn more about the products and services that we offer.